In the last few years, condos and condo-hotels have replaced almost all the mom-and-pop hotels in Myrtle Beach. North Myrtle Beach has always been a more residential area, and there are more oceanfront houses here than in Myrtle Beach proper. 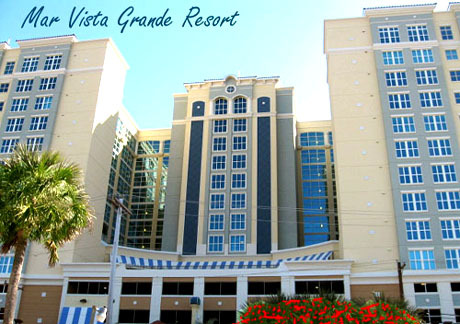 But aside from less traffic, a more "hometown" feel, and the widest beach in the south, North Myrtle Beach also has several of the finest resorts to be found on the Grand Strand. Visitors and vacationers who have discovered North Myrtle tend to return to this little piece of paradise year after year, and most have a favorite place to stay. If you are looking to buy a condo in North Myrtle Beach, you want to be sure it's a condo that brings in the most rental income, unless you want a private vacation place. The best vacation resorts are also the most income producing ones, so either way, it's important to know WHERE to buy. Below we will tell you about our favorite North Myrtle Beach Condo resorts, and give you the reasons why they are the best! Baywatch is located on 27th Ave South at the Ocean. It's the end of Ocean Blvd at Crescent Beach, and is probably the top favorite resort in North Myrtle Beach. It is run as a condo-hotel (as versus residences) and has an on-site restaurant, covered parking, and water amenities that are almost unbelievable. Many vacationers search for the resort by name, and are reluctant to consider staying anywhere else. The Baywatch Resort condos are our number one pick for sales and rentals, and it is a hotel for kids if ever there was one. This resort has truly amazing architecture, like many of the gorgeous high-rises in Miami or Vegas. The condos are spacious and have all the upgrades. It's a luxury vacation spot, with an indoor pool and spa, outdoor pool and jacuzzi, lazy river, tiki bar, and much more. This is as good as it gets! Contact us for more information on any of the beautiful condos for sale at Mar Vista Grande. There are about a dozen top quality resorts in North Myrtle Beach, among them, The Prince Resort; Cherry Grove's claim to fame with a pier for added fun and excitement. We also highly recommend Crescent Shores, Laguna Keyes, and the Avista Resort at Main Street. We can't forget to consider the two giants on the south end - Ocean Creek Resort and the new North Beach Plantation condos. Be sure and see what these one-of-a-kind resorts are like! If you're a golfer, looking to spend less money with less of an HOA expenditure, then you need to look at some of the North Myrtle Beach golf condos. Although there are many, our best advice is to look at the beautiful Barefoot Resort condos for sale first. 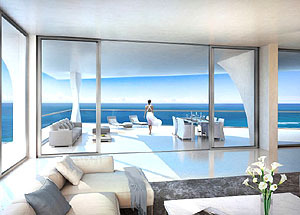 You will be amazed at what's available there in the perfect location and at such a reasonable price. 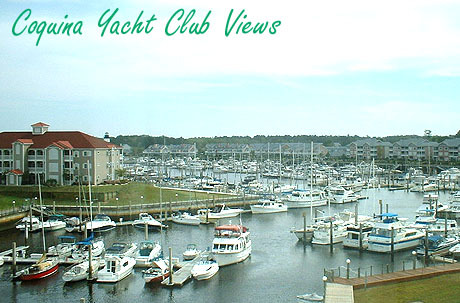 Boaters and those who love to fish will find a wonderful assortment of Waterway condos in North Myrtle Beach. Again, the Barefoot Resort offers several, especially the fabulous Yacht Club Villas that adorn its entrance and add so much beauty to Barefoot Landing. Most of the condos along the Intracoastal Waterway are in Little River, however. Look first at the Mariners Pointe condos for sale, and the condos at Carolina Yacht Landing. For some of the best prices, beautiful surroundings, and a perfect place to live, look to our very close neighbor, and the condos in Little River, SC. You can spend days considering the choices at Lightkeepers Village, and the Coquina Harbour condos. Both of these offer access to the Intracoastal Waterway and boat slips as well. If you're looking for value, you won't find a better one than the condos for sale at Little River Inn Resort. There are SO MANY CHOICES, and so many things to see when you decide on a North Myrtle Beach condo. Please call and let us guide you through this process. We know which ones offer the best values, have the best rental incomes; and we can warn you away from the ones that may be more of a liability than the asset you are dreaming of. We're waiting to hear from you!